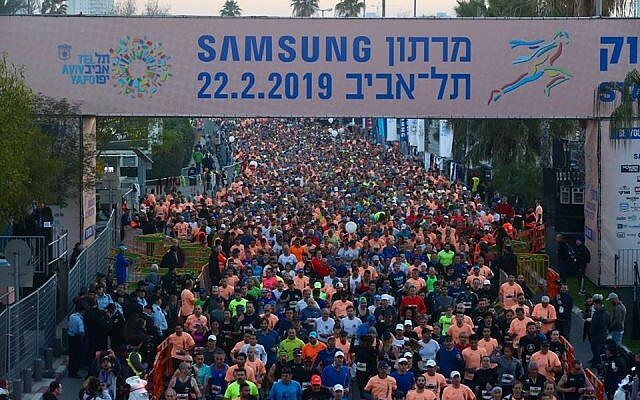 Major roads and key thoroughfares were blocked to traffic in Tel Aviv on Friday for the city’s 11th annual marathon, with an estimated 40,000 runners, among them a record-breaking 2,500 from abroad, taking part in the annual event. Ethiopian runner Samuel Getachew Demi won the full marathon, crossing the finish line after two hours, 14 minutes and 31 seconds. Margaret Wangui Njuguna of Kenya won the women’s race in two hours, 40 minutes and 26 seconds. Hundreds of police officers were deployed to secure the event, and dozens of paramedics were spread along the route. Other than the main 42.2-kilometer (26-mile) run, the day’s events also included a half-marathon route and several shorter races. 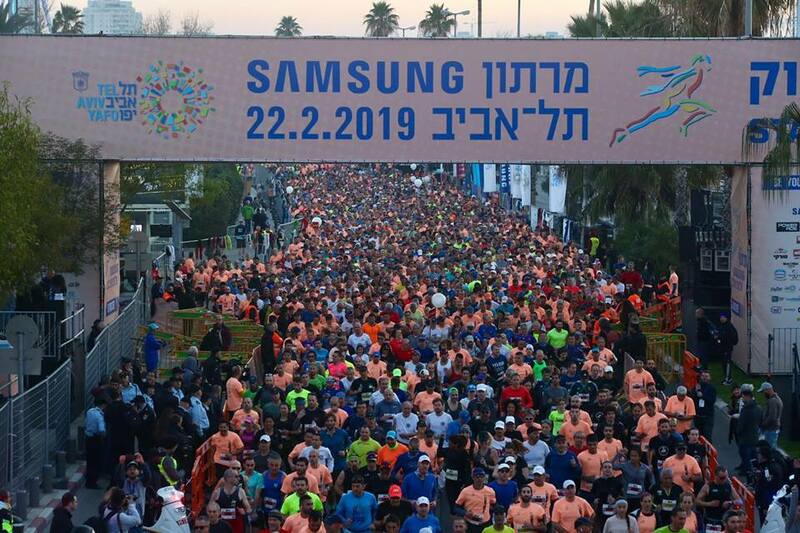 From Rokach Boulevard in the city’s north to Jaffa’s Jerusalem Boulevard in the south, a number of streets were completely closed off to traffic from the early morning until Friday afternoon, while parking was restricted in other areas. Among the areas shut to vehicles were: Rokach Blvd., Ta’aruha St., Levi Eshkol St., Shay Agnon St., Unizman St., the Tel Aviv Port, Glilot Junction, Yarkon St., Herbert Samuel Esplanade, Koifman St., Goldman St., Dizengoff St., Allenby St., Rothschild St., Tarsat St., Ben-Gurion Blvd., Menahem Begin Rd., Kaplan St., Hasmonaim St., Ibn Gabirol St, Marmurek St., Jerusalem Blvd, Herzl St., Eliphelet St. and Aliyah Hashnia St. Temperatures were well below the limit considered safe for racing, and runners enjoyed pleasant running conditions. In 2015, the marathon was called off mid-way due to high temperatures that saw two people hospitalized in serious condition. Almost 90 others required treatment for less severe problems such as dehydration and heatstroke, as well as bruises and other minor injuries.